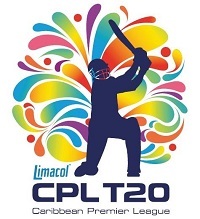 There will be six teams taking to the field for the 2018 CPL, all looking to stake their claim for the trophy. Four teams will qualify from the group stages into the knockout round, and last season we saw five teams battling it out to do so. The St Lucia Stars were the disappointment, failing to win a single game, and hopefully they can be more competitive this time around. CPL 2018 squad is placed here. The Barbados Tridents were the unlucky team to miss out on the knockout round last season. They finished with a total of eight points after four group wins, but that was two points short of what was required to finish in 4th position. They will be hoping to build on their play last season, and make the knockout round in 2018. The Guyana Amazon Warriors claimed the last knockout spot last season, thanks to an even record of five wins and five losses. They won the qualifier, but lost in their eliminator game, meaning they were one game away from the final. They will be hoping to build on that performance, and go one step further in 2018 and appear in the final. Johan Botha named head coach of Guyana Amazon Warriors for this season. The Jamaica Tallawahs have a great overall CPL record and they have won the title twice since the competition formed in 2013. They will always have a strong team, and will be fancied to perform well, the upcoming 2018 season looks as though it will be no different for them. Their squad will be interesting to view, and they could emerge as early favourites for the title. The St Kitts and Nevis Patriots were runners up in the 2017 edition of the CPL and will be looking to go one step closer in 2018. They were beaten in the final game by the Trinbago Knight Riders, but there is hope they can challenge again after performing well in the tournament since joining. The St Lucia Stars have struggled in the CPL since joining the league and they are going to have to really dig deep if they are to finish better than last season. They did not win a game in the 2017 event, so that will be the first target for them, but this looks like being another tough season unless they can pull off a huge shock. The big news this year for the franchise is David Warner will be part of the team squad replacing D’Arcy Short who’s been chosen to be a part of Australia A’s tour of India during the same time. The Trinbago Knight Riders won the 2017 edition of the CPL, which puts them on two wins all together, tied with Jamaica as being the most successful franchise. That brings pressure, and there will be pressure on the Knight Riders to succeed again, despite this being a hugely competitive T20 league. They will be interesting to watch, with fans expecting them to do well. Please send probably players gaw vs tkr which player is playing. he is not playing CPL this year.